The Northern Territory is on everyone’s bucket list. 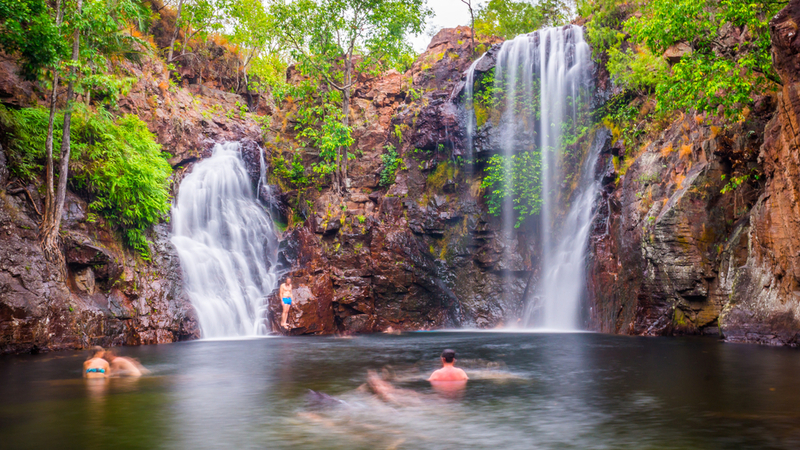 These incredible Northern Territory adventures are going to make you want to go sooner. We’ve found camel tours, helicopters, fast boats and slow canoes. Every single one of these tours is brilliant for families just like yours. One thing many people don’t realise about Uluru is that it is huge. The walk around the base is 12km. Uluru Segway Tours run trips from most resorts to and around Uluru. 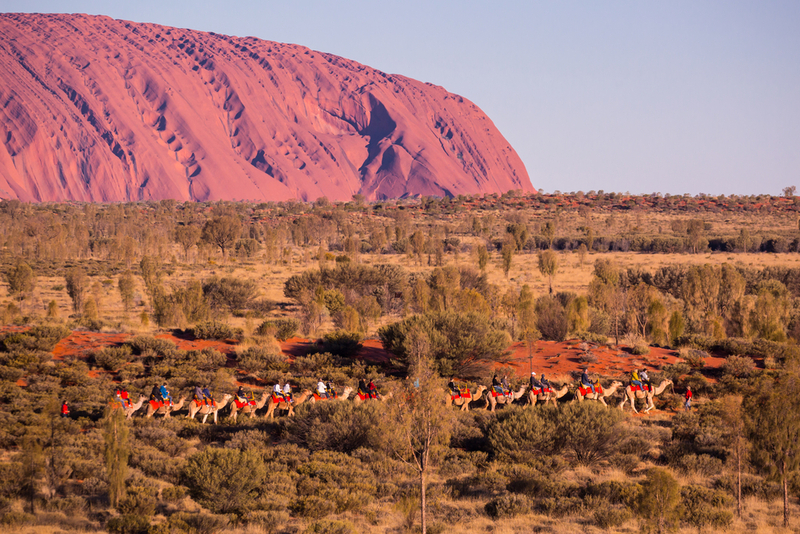 Our favourite is the Uluru Sunrise and Segway Tour. The organisers will pick you up at your hotel 60 minutes before sunrise. Between May and September, the mornings can be chilly – so bring warm clothing and gloves. Families can enjoy a magical sunrise at Uluru with a light breakfast, tea and (most importantly) coffee. 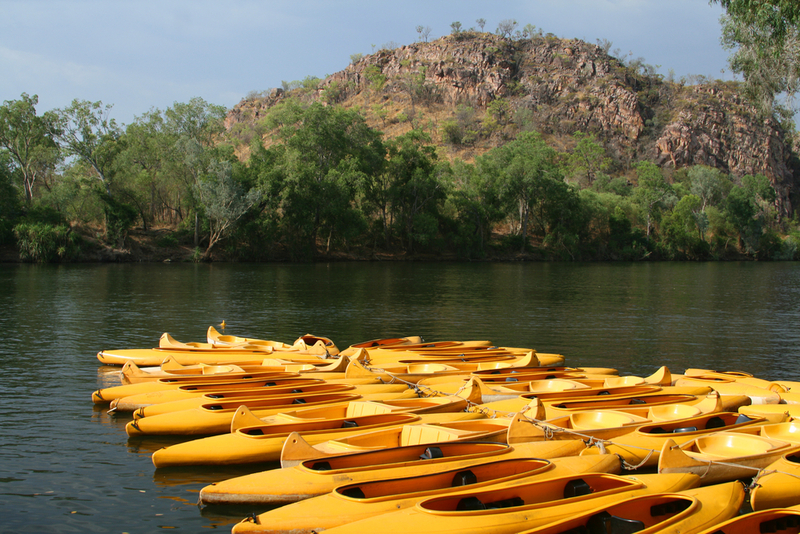 A guide will lead you into the Mutitjulu Waterhole before you jump onto the Segways for the cruise around the full 12km base of the rock. This tour takes about five hours. 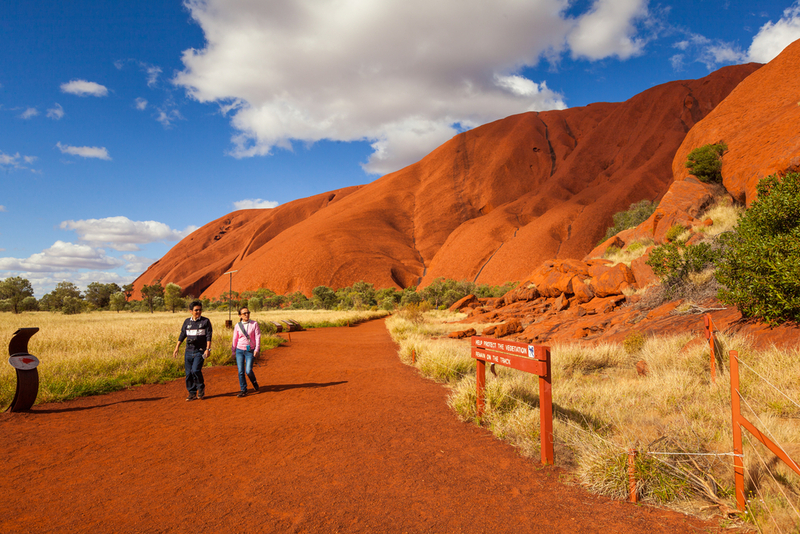 The sunset tour takes 2.5 hours and offers incredible views of Uluru and Kata Tjuta. Skilled cameleers tell families stories of the territory, its flora and fauna. But the highlight has to be the spectacular sunset, watched from a sand dune. On return to the farm, the kids can cook outback foods such as damper and the adults can enjoy a cool glass of beer, wine or sparkling wine. And they have a quad bike tour. The Undoolya Discovery Tour departs from Alice Springs and takes families through this unique outback property. 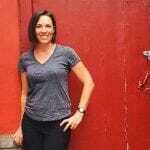 You will need to wear enclosed shoes and comfortable clothing. Long pants, sunglasses and sunscreen are a must. 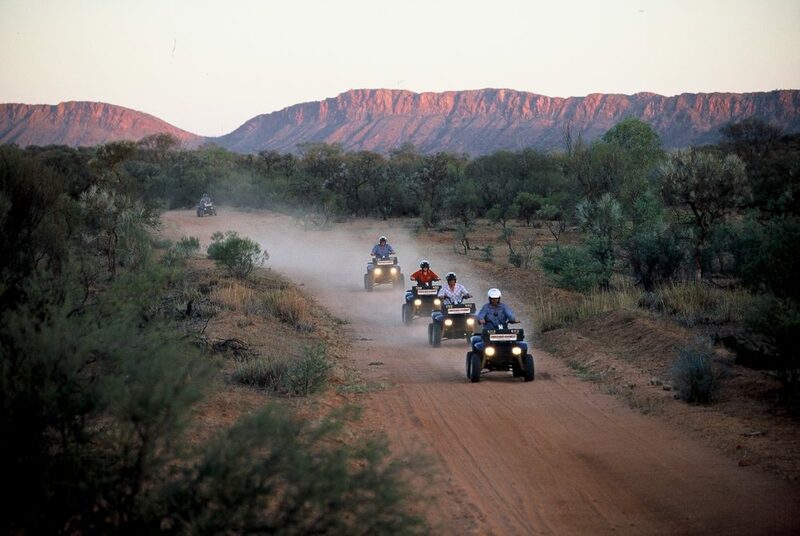 Choose from the Quad Rush, a fast thrilling tour for adrenaline-lovers, to the more relaxed outback discovery tour where you can spot some of the unique territory wildlife at a slower pace. Wake before dawn to catch the best part of the day. 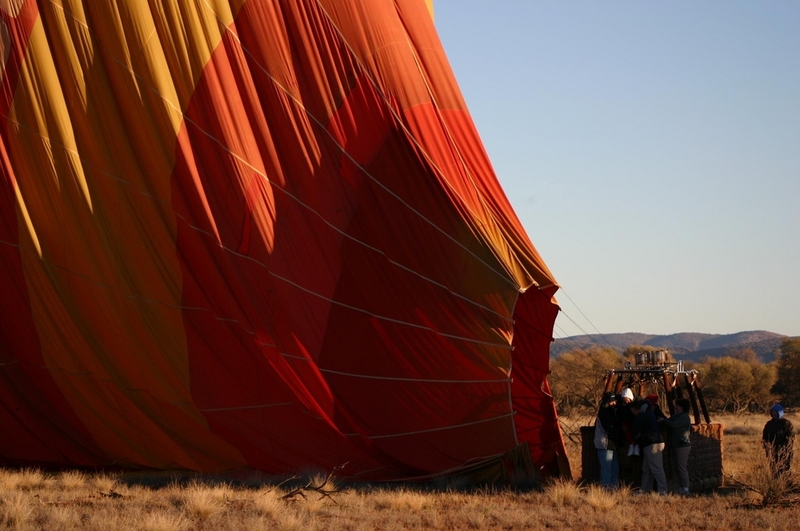 Outback Balloon Adventures has 30-minute and one-hour balloon flights with views over the West MacDonnell Ranges. Keep an eye out for wallabies and red kangaroos as you drift over the desert and mulga scrub. At the bush landing site, families can indulge in fruit juice cocktails, banana bread, muffins (and champagne for the adults). It’s also a refuge for waterbirds and has an extensive network of waterholes. The best place to swim in the Old Police Station Waterhole. But beware of submerged logs and rocks. Do not jump or dive into the water. 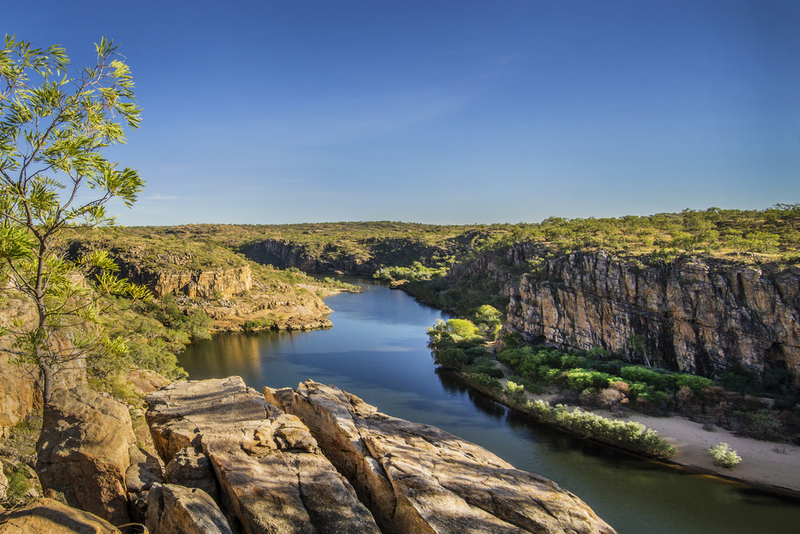 Helispirit offers helicopter tours over Nitmiluk Gorge in Katherine. Families can choose from 8, 12, 15, 20, 30 or 45-minute flights through the gorge. If you are travelling with pets, you can leave the dog in the shade at base camp while the fly. Expect to fly over sheer canyon waterfalls, past rocky escarpments and through deep cool canyons. This is a once-in-a-lifetime thrill the kids will never forget. Our top tip: Read the Rainbow Serpent to the kids before you fly. According to the Jawoyn people the Bolung still lives in the deep pools of the gorge and care must be taken not to disturb him. We recommend families book the Malappar Traveller Tour. It takes 4.5 hours at a relaxed pace in single or double canoes. The canoe tours are seasonal, running from June to November. The tours begin once the National Parks have completed their annual safety and crocodile survey. To catch a glimpse of the gorge’s spectacular wildlife you will need to be quiet and patient. Families should be able to spot water monitors, cormorants, northern snake-necked turtles and barramundi. Crocodiles are rare. If you do see one, do not approach it. 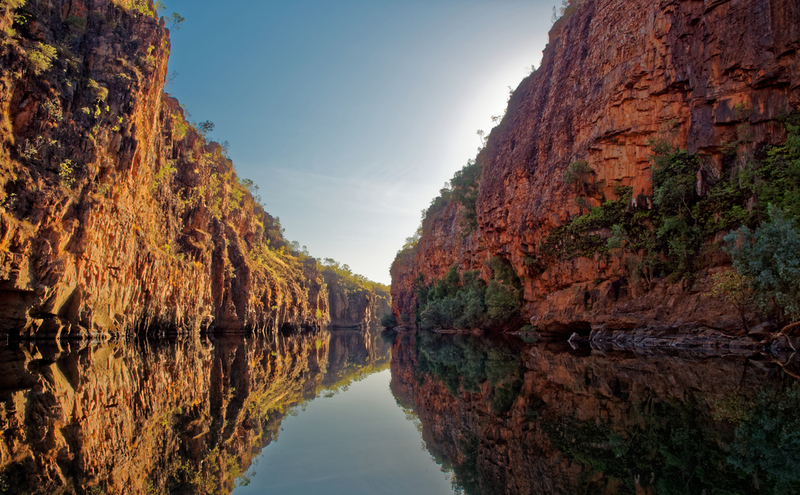 Kakadu Cruises is the only company that can take you to the sensational Yellow Water Billabong. The company has six cruises each day from 90 minutes to two hours. 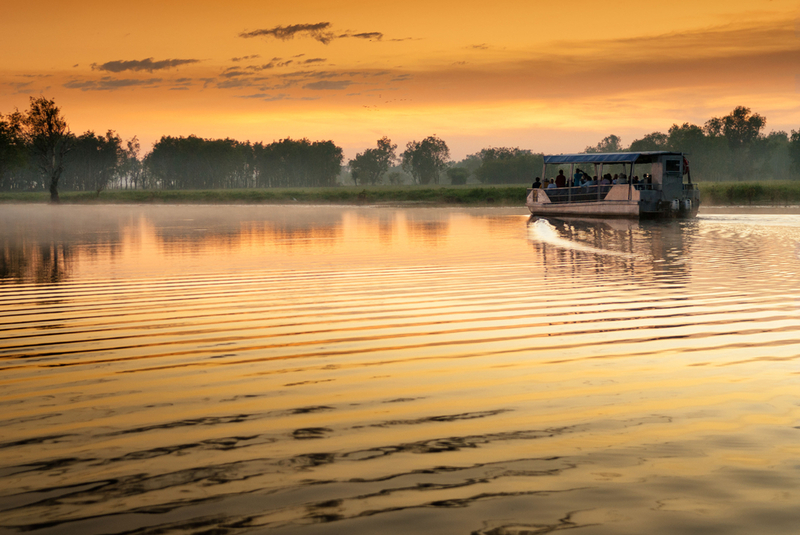 The most popular tours are the sunset and sunrise cruises. The cruises offer a fascinating commentary on how the Indigenous Bininj people use the wetland’s flora and fauna. The kids will love the chat about the crocodiles and eagles. Hop on board a custom-built V8 airport for a unique family thrill. 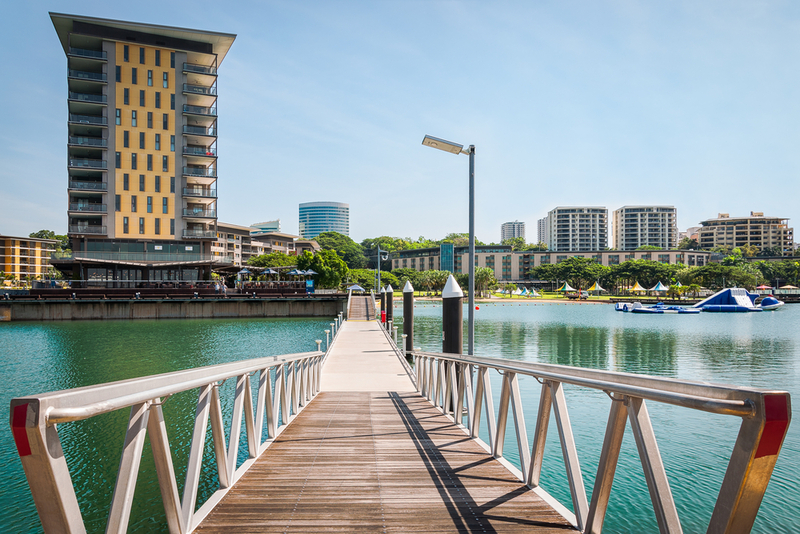 The 45-minute tour starts at Stokes Hill Wharf in Darwin and heads through Darwin Harbour towards the city’s scenic mangroves. Ever seen those amazing photos of people in a natural plunge pool gazing over rugged outback scrub below and thought – I need to go there? That is Litchfield National Park. And it’s just as stunning as it looks on Instagram. 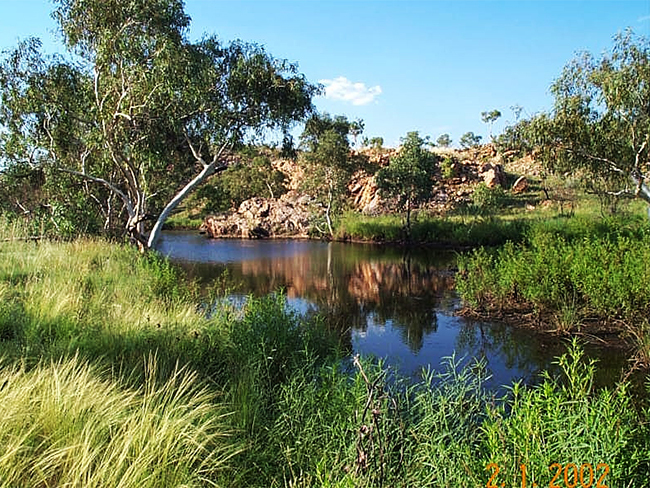 Litchfield has seven main waterholes to explore: Wangi Falls, Florence Falls, Bluey Rockhole, Walker Creek, Cascades, Tjaynera Falls and Surprise Creek Falls. Take your pick. They are all amazing. Cool off in the crystal clear water, then enjoy a scenic walk. Some of the pools also offer camping.